I will start with saying I am at awe after being on this blog for over two years and you, are still as wonderful as ever. I am still sick but you help me kick it off. You, your support, and undying openness to accept my flaws and downfalls has and continue to make me stronger. Thank you for all of the comments and strength while I have been recovering from some silly sickness. Today, I cough a lot again. At work, at the grocery store, in bed, in the shower, everywhere. NTC and Juneathon say run so I ran. 5 KMs later, and a bucket load of sweat, here I sit, proud to blog and share with you my success. I had a few coughing fits but nothing I didn’t outrun. I feel like I have never sweat soooo much during a run. I’m sure I have and it’s the recent lack of exercise making it seem like it was pouring down my face. Anyways, I’m happy to cross off a happy face on my workout calendar today. 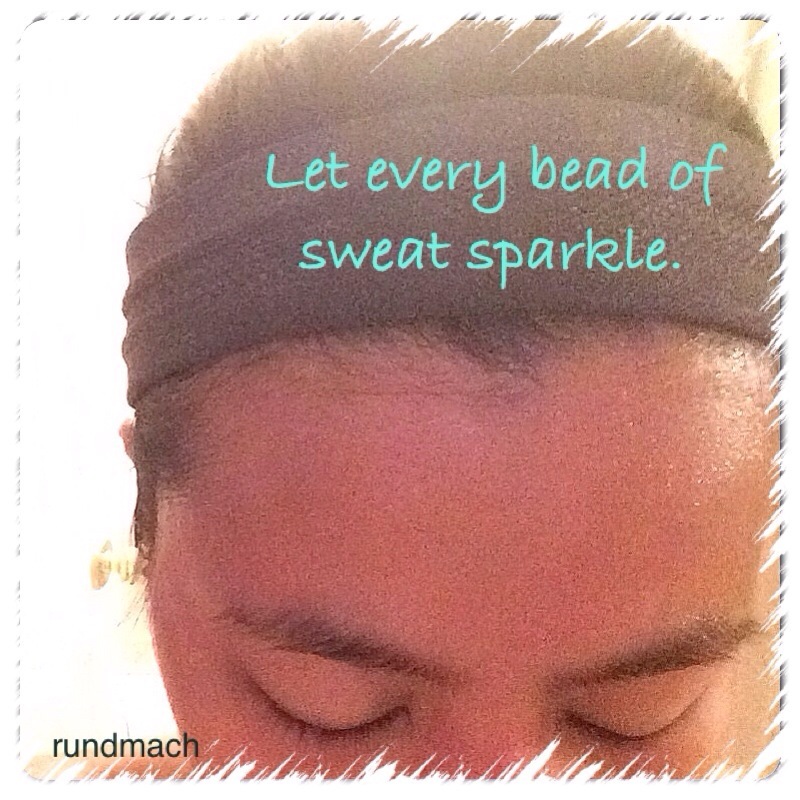 Today’s special workout feature is sparkle or shine or glow. What I mean by this is, take a moment and enjoy yourself. Take some time to reflect in every workout and all the sweat you’ve burned. Bask in your success and hard work. Enjoy how far you have come and let it soak in. I want this feature to be about you. Your training, your wins, your finish lines, and every extra minute you have added to your life with the good choices you have made. With this I again step out of my shell for this blog, for you, and share a little photo of me right after my run. I will not continue to beat myself up for being sick and not being able to work as hard. It is part of life. I will continue to push myself and not let myself slip and get into a funk that will be hard to get out of. I run for the sweat. It releases endorphins that help me forget anything troublesome. I take pride in the sweat dripping down my face and beading off my body. I’ve worked hard for these sparkles and this, makes my heart ever so happy. I hope you can spend just a few moments to be proud of yourself, you deserve it! Keep on pushing yourself, you’ll get back right on track!